Is Italian cuisine still really Italian? The world’s love of Italian food seems to know no bounds and no matter where you travel, you’re likely to find an Italian restaurant. But when it’s a cuisine that has been translated across so many countries and cultures, is Italian cuisine still really Italian? Over time, changes have crept into many Italian dishes and methods, and some of the new versions of dishes, or ways of doing things, have become considered the norm when they’re really not. Some of the most well-known and well-loved Italian dishes of today are in fact quite different to their original forms. Consider the Carbonara, which traditionally doesn’t contain any cream, but which is today known as a creamy Italian pasta dish. Similarly, one of the most popular dishes ever – Bolognese - is not traditionally served with spaghetti. Spaghetti is completely the wrong pasta for such a rich sauce to effectively cling to – and yet Italian menus around the world offer spaghetti Bolognese as a signature dish. But before we get all purist about these changes, it’s good to note that it’s not just Italian cuisine that has fallen into the internationalisation camp. Westernisation of many forms of Asian foods is another great example, and you just need to ask a traditional Cantonese or Japanese Chef what he or she thinks about many of the restaurants and dishes purporting to be traditional and authentic but which are far from it to realise that. But is the modernisation and internationalisation of some dishes really such a bad thing? There are some elements to my cooking, and some dishes, which I insist on remaining true to tradition – Pizza Napoletana is of course one of them. But if by adapting other recipes, we open them up to a whole new audience and in doing so, can continue a worldwide love affair with our food from Italy, can we really say it’s a negative? I can personally attest to this having recently opened restaurants at sea with P&O, and in Bahrain, both of which required subtle menu changes to ensure the product suits the end consumer. Rather than focus on how the cuisine has been adapted, I instead consider it an incredible opportunity to introduce the food of my homeland to customers and people who may not otherwise be exposed to it. 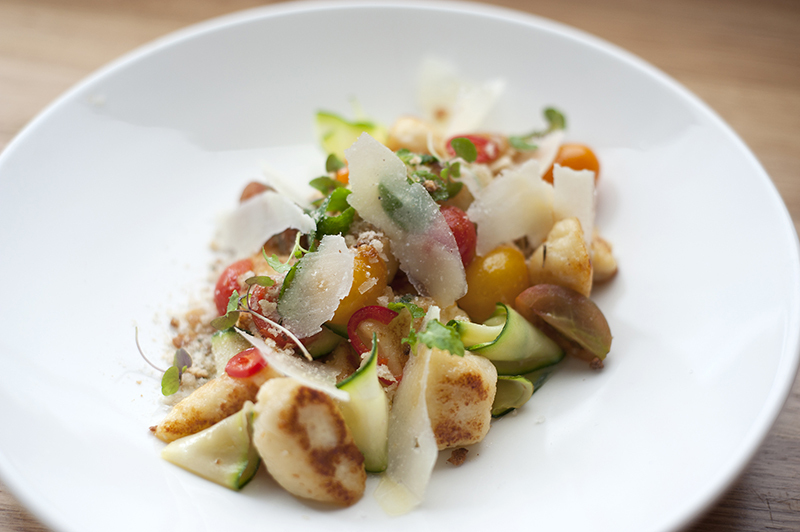 Even if dishes are adapted, the origins of Italian cuisine can never be changed. There will also always be a place for true, authentic Italian cuisine - but as the world and our cultures continue to merge and fuse, it makes sense that our way of eating is doing the same. Known as “Mr Pizza”, Melbourne based Johnny Di Francesco is the head of Gradi Group and was named the best in the world at The 2014 World Pizza Championships in Napoli. Johnny’s passion for Italian cusine draws from traditional Neapolitan techniques, with his family originating from Naples. 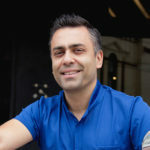 With a host of award wins and many successful restaurants under his belt, Johnny has established himself as a force to be reckoned with internationally. On invitation, Johnny represented his home country in several key pizza events. Judging and competing. Johnny has visited Paris, Las Vegas and Parma to share his expert knowledge and put his unique stamp on the international pizza domain. Culminating in his World Pizza Championship win, Johnny has gained national and international media attention, media coverage and recognition.